Police have identified the suspect as 38-year-old Nissa Meyer. Pearl City police say they arrested a 38-year-old homeless woman for second degree assault after she allegedly stabbed a 43-year-old homeless man multiple times in the leg during an early morning argument Monday. 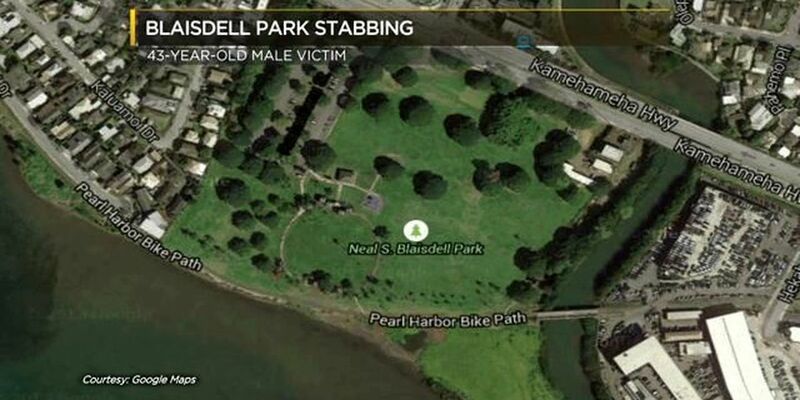 Police say the stabbing happened along the bike path that fronts 98-380 Kaluamoi Drive near Neal Blaisdell Park around 3 a.m. Neighbors say they heard arguing coming from the homeless encampment around 2 a.m. The victim was taken to the Queen's Medical Center in serious condition. The campsite is empty now. Police believe the two may have been involved in a prior relationship.